Daytime Playtime is exclusive to The Ridge Rewards cardholders. Win a share of R200,000 in Cash and Instant Prizes.  Any person who has been issued with a Refusal of Entry order, or who is self-excluded, or who fall into category of excluded persons, is expressly prohibited using their The Ridge Rewards card. This promotion is open to Black, Platinum and Gold Rewards cardholders only. Participants earn points by playing Slot machines or Tables games whilst using their The Ridge Rewards card. Prize winners will be selected by way of Manual/random draw. Promotional times will be advertised through advertising mediums used for this promotional competition. Participants enter the draw(s) by inserting their printed draw tickets (the “Entry”) into the dedicated draw bin(s) located in the stage area from 09h00 till 5 minutes prior to the draw for the Sunday Money Shower Draw and for the Tuesday Spin The Wheel. Participants enter their tickets from 9h00 till 5 minutes prior to the draw. Ticket receipts are not draw tickets and shall not be inserted into the draw bin(s). If such receipts are drawn, a re-draw shall occur. Prize winners or nominated Proxies who are present will be given 90 seconds to present themselves and must be in possession of evidence of the winning ticket receipt and positive and acceptable form of identification. Should a prize winner who is eligible for a prize but who is not present as a result of declining an invite to be present for the draw, the casino shall take all reasonable steps to contact the prize winner via the contact details provided on the Proxy nomination form or otherwise readily available. In such circumstances the prize winner may within 15 days of the draw claim the prize. The prize winner must claim the prize at The Ridge Cash Desk within 15 days of the draw.